No, not that bachelorette. I am not here to talk about Emily Maynard or anything else related to the television show, which in my opinion bores me to tears. I am talking about a REAL bachelorette. I have to say that bachelorette parties are super fun. I have only been to two, mine and one other persons, so I am no expert. But so far, I have yet to meet a bachelorette party I didn’t like. As a bridesmaid, one of my duties was to help plan and execute the bachelorette party for one of my dear friends who is getting married NEXT weekend (9 days!!!!!). We did a painting party at Bottles and Bottega from 6-9 where we served wine and champagne as well as dinner from Maggianos. We played games, we painted a male model, had a few laughs, and that was only the beginning. Then we took a party bus all over the place and finally landed at the Baton Show Lounge for a drag show who’s highlights include the most amazing Beyonce impersonator and a Lady Gaga performance. (Sadly, we were not allowed to take ANY pics inside but it was a sight to see, let me tell you.) It was easily one of the most fun nights EVER. I wanted to share with you guys though the super easy bachelorette party game we came up with. Many of you have heard of 20 questions, right? 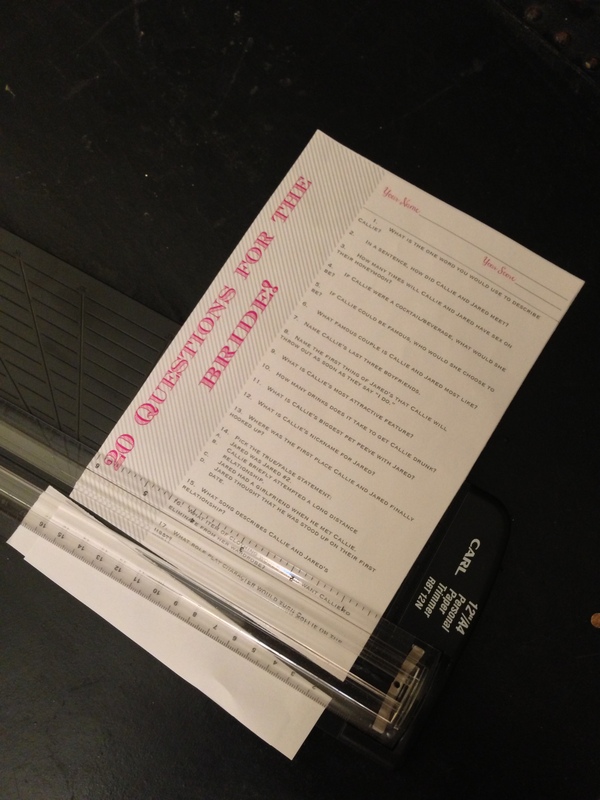 Well we created a little printout and had each guest fill it out upon arrival. They had to answer all twenty questions about the bride and groom. After everyone had finished we called the bride up to the front of the room and had her give her answers to each question. There was a twist too; we had a stealth bridesmaid pre-record all of the groom’s answers to the questions before so we could play them as the bride answered them herself. We needed to compare the answers right?! 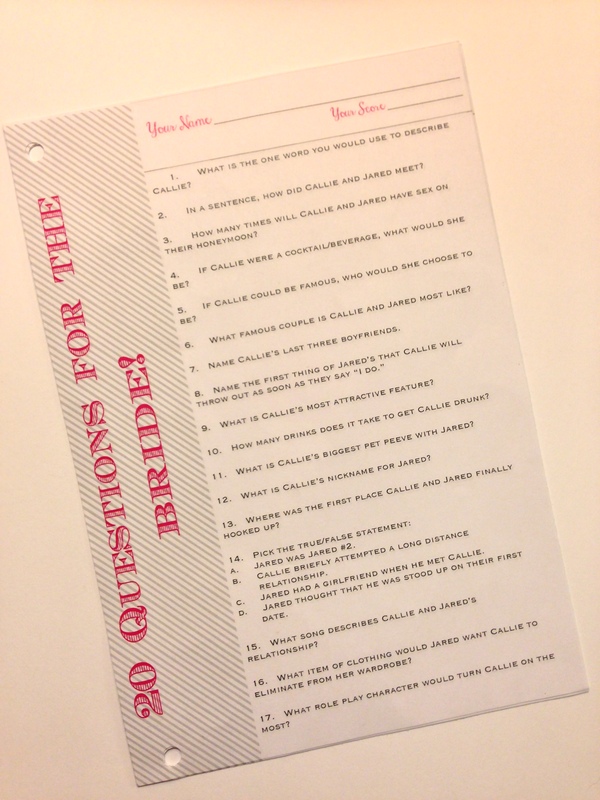 If your answer matched the bride or the groom’s answer you get a point. Because we punched holes in each sheet before guests started filling it out, we were able to (quickly) make a cute little book for the bride after we played to take home as a keepsake. For the cover, I just used two pieces of cardstock cut to size and the left over scraps from punching all of those holes in the striped pages. I tied it all together with ribbon and called it a day! 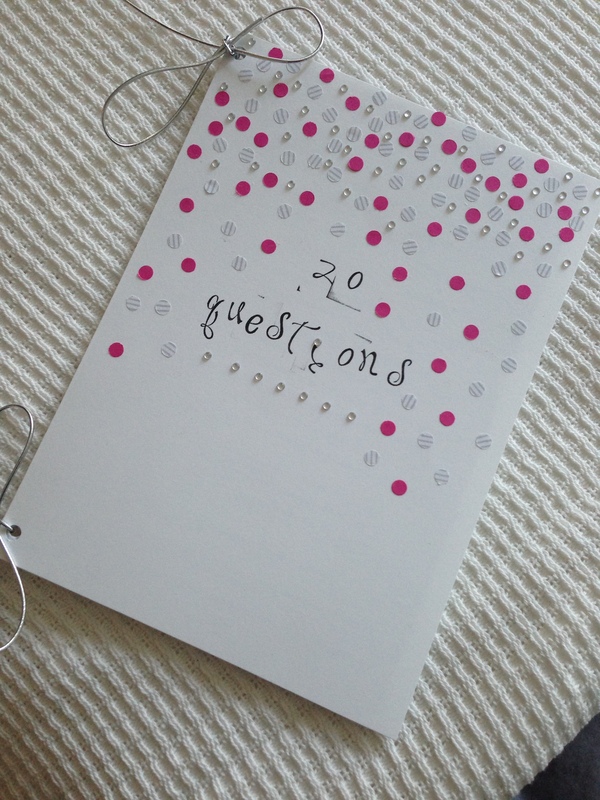 Click here to download the free word file for the 20 Questions template. After all of that talk of opal colors, texture, and sparkle from yesterday’s Fashion Week post, I thought I would give a little inspiration for all those brides out there. Who’s says you can’t add a little color to a winter wedding. I think this is a great start for a January bride who wants to stay relevant to the season but shake it up a little. Side note-I really want to figure out how to make those slate blue macaroons up there on the top. Whoever thought of edible glitter is a GENIUS. I bet if I did some digging I would find a recipe for it somewhere. 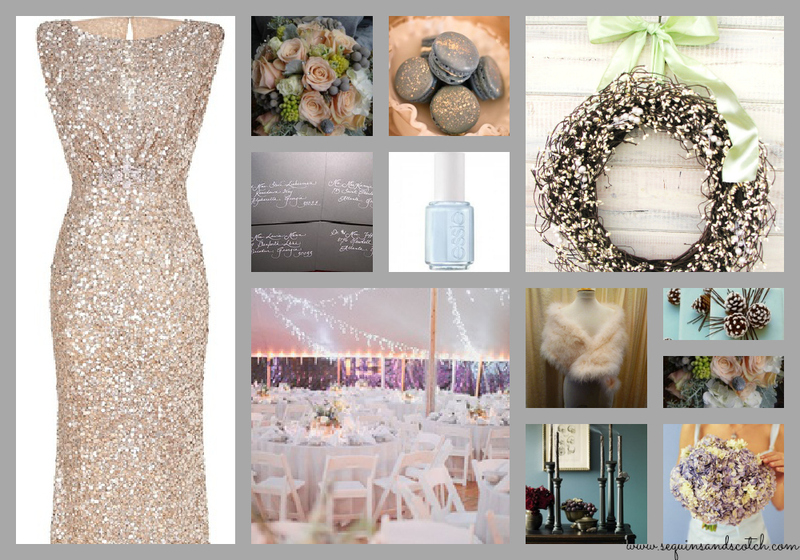 I digress, would you try opal for your winter wedding or is this color palette best kept for the springtime bride? I have a bunch of friends getting married and I love everything about weddings. E.V.E.R.Y.T.H.I.N.G. One of the best parts of planning is the registry. What could be more awesome than picking out presents? For yourself? However, I do remember that this specific part of wedding planning was actually inexplicably frustrating because EVERYONE wanted to tell you what they thought about every single thing on it. “You have too much on here”, “you dont have enough”,” you have too many expensive things on there”,” you don’t have enough expensive things on there”, “why would you ever want THAT?”, “oh, you absolutely MUST have this”….. the list of things that people will say to you about it goes on and on. Here are a few things that everyone needs to keep in mind. Before going shopping talk to your fiance about the things that you know you definitely want. Do you want china? Do you want a casual dining set? Do you want both? 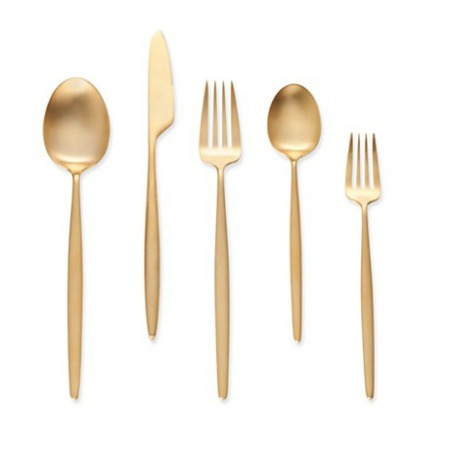 Flatware? Crystal drink ware? Kitchen appliances etc. Outline what you know you want and stick to it. Don’t let mom force you into buying china if it is truly something that you won’t ever use. You are building your home, it’s not about what someone else wants in it, its about what you want to fill it with. You need to take the number of people you have invited to your wedding and multiply that by 2. That is how many gifts you should register for. I know it seems like alot but people want to buy you a gift and most of the time they want to be able to pick what THEY want to give you. Give them options, otherwise they are just going to buy you weird things off the registry that are impossible to return. Keep in mind that you can always change your mind and if you get a gift from your registry that you aren’t in love with anymore, you can at least return it. Consider what stores you wouldn’t mind having one big gift certificate to. You are guaranteed to get duplicates or things you no longer want. When you return those items you often get store credit. Make sure that you register at a place where you wouldn’t mind shopping at months after the wedding. 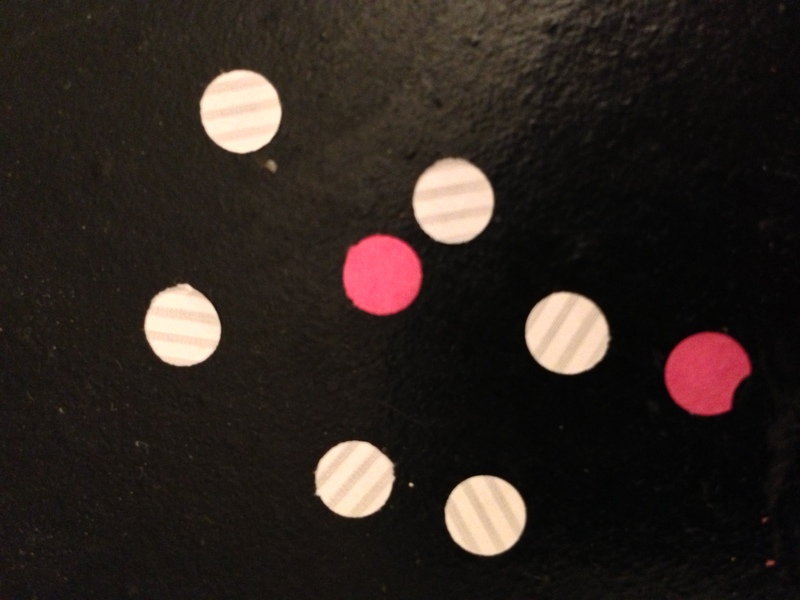 When dealing with price points, think about what you would normally want to spend for a shower. Try to find items within a range that are about $50 above that and $50 below that. I would say to register for 1/3 to 1/2 of your gifts within this price point. Same with the wedding gifts, think about what you would typically spend for a friends wedding and find things within a $100 of that price point below and above it. I would fill up the rest of the registry with these items. I say this because when people are spending more money, they want even more choices. The best advice I heard when going through this was to ask yourself, “Would I feel good giving this to someone for their wedding?” “Does this feel like I would be giving them something special and memorable?” Put yourself in your guests shoes and try to imagine what you would want to give your best friend, your cousin, your niece, or your daughter, for their wedding. If you would feel good giving that item to them, then scan it and put it out of your mind. Do NOT put personal items on their like clothes, jewelry, shoes, lingerie, water filters, etc….. Just dont. No one wants to be the guest that bought you a Brita pitcher for your wedding. When trying to determine budget, consider these things: do you need to travel/ get a hotel room to attend, where you were allowed a date, will you have to pay for a babysitter, how close are you to the couple. All of those things would determine what you are confortable spending. Don’t beat yourself up if you cannot afford a huge lavish gift, a thoughtful, less expensive choice from the registry or money in a nice card is perfectly acceptable. It is not about the dollar amount, but about the gesture. Try to keep your critiques to yourself. Brides these days are under enough pressure, I know you may think it is a DIRE situation if there is something on there that you hate or think is ugly, but you don’t have to buy it if you don’t want to. Have fun with it, registries are meant to make this easier for you, the guest. They were created so you can get a sense of how they are decorating their home and what their style is. PLEASE don’t deviate from the registry unless you are really really close to the couple and just know that they will love the alternative. If you absolutely must deviate, at least make sure you have looked at the return policy at that store and get a gift receipt, just in case. I have noticed that there is a huge generational divide with the idea of a honeymoon registry. I have talked to so many brides who have recounted some kind of disagreement with their mothers or mothers-in-law over this issue. Here is what it think happened. Moms tend to think that it feels like it is asking for money and is just as rude as putting registry information directly on the invite or worse, saying “money preferred” ON the invite and they worry that their friends will feel as if their daughters are directly asking for money. Daughters on the other hand are now living in a world where, thanks to technology, there are tons of options and you dont have to be confined with the traditional gifts that may be on a registry. Many women are living with their fiances before getting engaged so the need for so many items for the home has decreased dramatically. The honeymoon registry is something that is a good compromise for everyone, brides, reluctant moms, and guests alike. Setting up a honeymoon fund still allows the guest to be able to purchase a gift for the couple. Just because it is not a tangible item that can be displayed in the couples home as proof of the gift givers good will, does not mean that there was no thought put into it. Instead of plates, the couple can get an amazing experience that was personally selected by the guest. 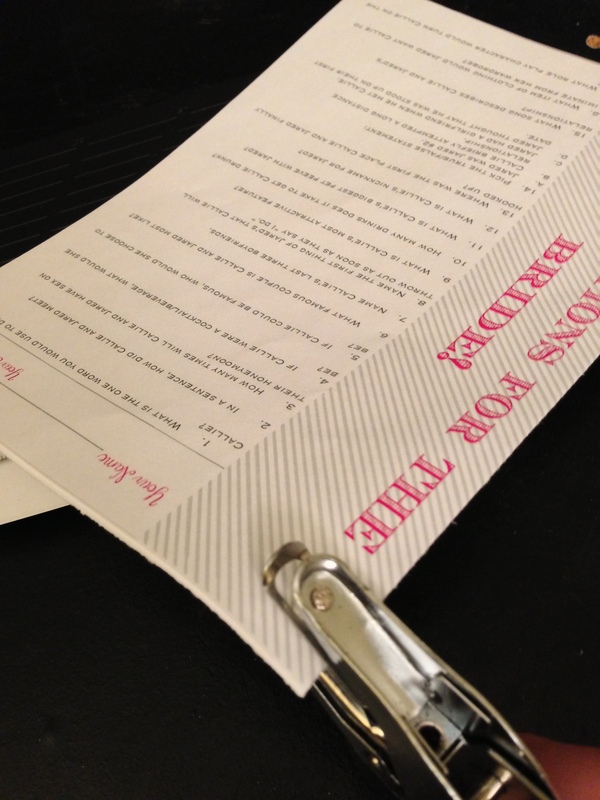 The guest wont feel as if they are just taking a shortcut and handing over money, they DID get to pick something out. The couple won’t have to deal with getting tons of things that they just don’t want or need and moms can rest assured that in this modern day, a honeymoon fund is no more assuming or bratty than any other kind of registry. It is just simply a Honeymoon Registry. Instead of gifts for the home, you get the gift of experience. In my mind, being able to supply the couple with a great memory that they may not have been able to afford this early in their marriage is almost more personal and more valuable than any dish set could ever be.